In this article we will talk about basics of deep learning from the lens of Convolutional Neural Nets. We plan to use this knowledge to build CNNs in the next post and use Keras to develop a model to predict lung cancer. By Taposh Roy, Kaiser Permanente. Editor's note: This is a followup to the recently published part 1. You may want to check it out before moving forward. 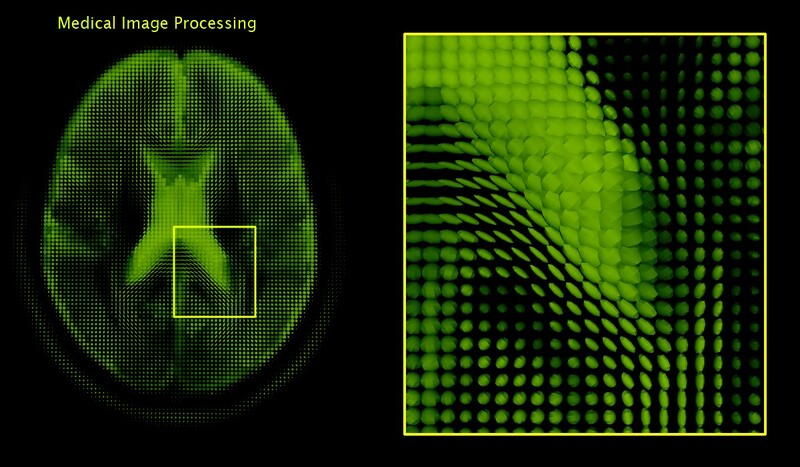 In the last article we went through some basics of image-processing using OpenCV and basics of DICOM image. In this article we will talk about basics of deep learning from the lens of Convolutional Neural Nets. In the next article we will use Kaggle’s lung cancer data-set, review the key items to look for in a lung cancer DICOM image and use Kera’s to develop a model to predict lung cancer. 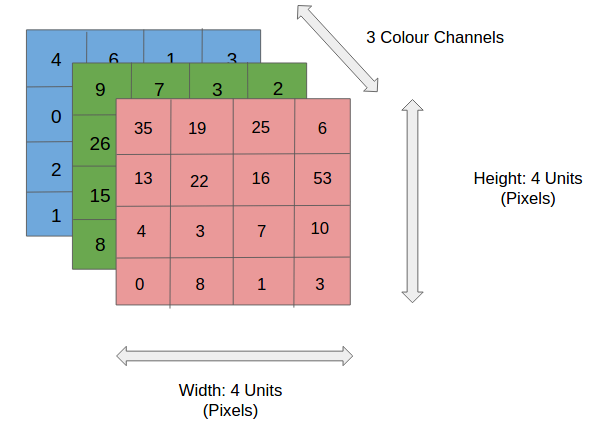 In order to understand basics of CNN, we need to understand what is convolution. Wikipedia defines convolution as “a mathematical operation on two functions (f and g); it produces a third function, that is typically viewed as a modified version of one of the original functions, giving the integral of the point-wise multiplication of the two functions as a function of the amount that one of the original functions is translated.” The easy way to understand this by thinking of it as a sliding window function applied to a matrix. The figure above shows the sliding window applied on the matrix in green, where sliding window matrix is in red. The output is the convolved Feature matrix. The figure below shows the convolution of two square pulses (blue and red) and the results. Jeremy Howard, in his MOOC explains convolution using an excel sheet, which is a great way to understand the fundamentals. Consider 2 matrices f and g. The output of convolution of f and g, is the third matrix “Conv layer 1” given by the dot-product of of the 2 matrices. The dot product of 2 matrices is a scalar as shown below. An excellent source of math functions can be found here. Dot product of 2 matrices. Lets use excel as Jeremy suggests, our input matrix is function f() and sliding window matrix is filter function g(). The dot product is the sum-product of the 2 matrices in excel as shown below. Lets extend this to an image of alphabet “A”. As we know any image is made of pixels. So our input matrix f is “A”. We select our sliding window function to be a random matrix g. Then the convoluted output for the dot product of this matrix is shown below. Send me a note if you would like a copy of this excel sheet. 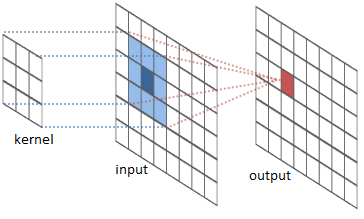 What are Convolutional Neural Nets (CNN)? In my point of view a simple Convolutional Neural Net (CNN) is a sequence of layers. Each layer has some specific functions. Each convolutional layer is 3 dimensional, so we use volume as the metric. Further, each layer of a CNN transforms one volume of activations to another through a differentiable function. Such a function is called activation or transfer function. The different types of entities of CNN are: Input , Filters (or Kernels),Convolutional Layer, Activation Layer, Pooling Layer, and Batch Normalization layer. The combination of these layers in different permutations and of course some rules give us different deep learning architectures. Filters or Kernels : As shown in the figure from RiverTrail below, a filter or kernel slides to every position of the image and computes a new pixel as a weighted sum of the pixels it floats over. 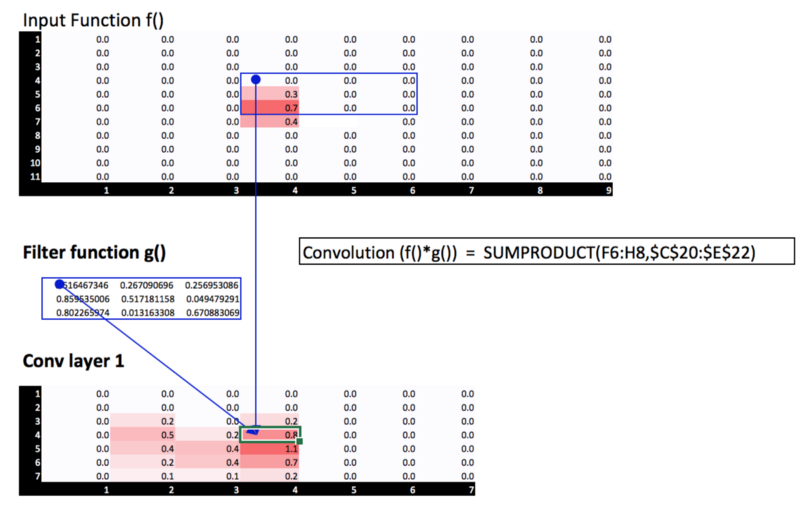 In our excel example above our filter is g, moves over the input matrix f.
Convolutional Layer: A layer of dot product of input matrix and kernel gives a new matrix know as the convolutional matrix or layer. 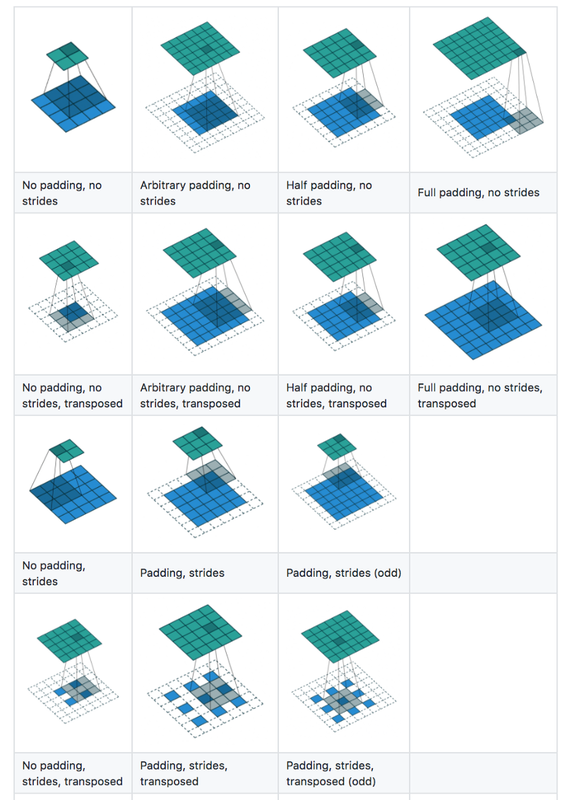 A very good visual chart understanding how padding, strides and transpose work can be found below. 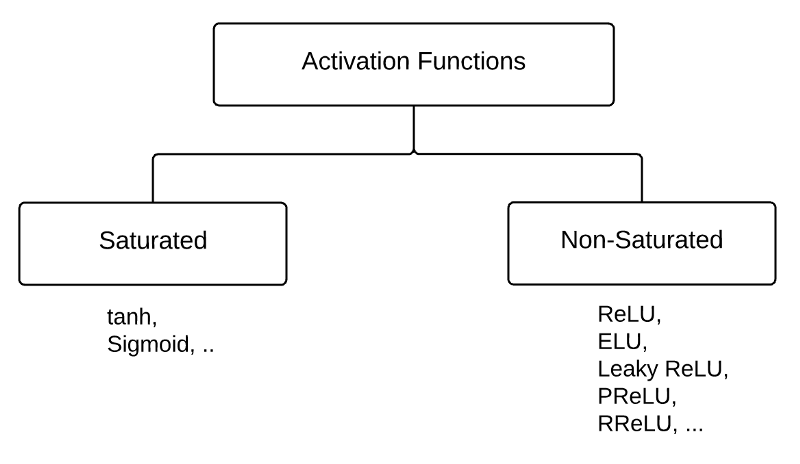 Activation Layer: Activation functions can be classified into 2 categories based — Saturated and Non-Saturated. The first is to solve the so called “exploding/vanishing gradient”. The second is to accelerate the convergence speed. ReLU stands for Rectified Linear Unit. It is the max function(x,0) with input x e.g. matrix from a convolved image. ReLU then sets all negative values in the matrix x to zero and all other values are kept constant.ReLU is computed after the convolution and therefore a nonlinear activation function like tanh or sigmoid. This was first discussed by Geoff Hinton in his nature paper. Exponential linear units try to make the mean activations closer to zero which speeds up learning. ELUs also avoid a vanishing gradient via the identity for positive values. It has been shown that ELUs obtain higher classification accuracy than ReLUs. A very good detailed poster on ELU can be found here . Source: Empirical Evaluation of Rectified Activations in Convolution Network. where ai is the fixed parameter in the range (1,+infinity). PReLU can be considered as a variant of Leaky ReLU. In PReLU, the slopes of negative part are learned form data rather than predefined. The authors claimed that PReLU is the key factor of surpassing human-level performance on ImageNet classification (Russakovsky et al., 2015) task. It is the same as leaky ReLU with the exception that ai is learned in the training via back propagation. A comparison between ReLU, Leaky ReLU, PReLU and RReLU is shown below. Source :https://arxiv.org/pdf/1505.00853.pdf ReLU, Leaky ReLU, PReLU and RReLU. For PReLU, ai is learned and for Leaky ReLU ai is fixed. For RReLU, aji is a random variable keeps sampling in a given range, and remains fixed in testing. These are activation functions, extended to include Gaussian noise. Good understanding on how Noise helps can be found here. Note: Here we slide our 2 x 2 window by 2 cells (also called ‘stride’) and take the maximum value in each region. Because normalization greatly reduces the ability of a small number of outlying inputs to over-influence the training, it also tends to reduce overfitting. Details about batch normalization can be found here or check Jeremy’s MOOC. The Fully Connected layer is a traditional Multi Layer Perceptron that uses a softmax activation function in the output layer. The term “Fully Connected” implies that every neuron in the previous layer is connected to every neuron on the next layer. A softmax function is a generalization of the logistic function that “squashes” a K-dimensional vector, of arbitrary real values to a K-dimensional vector of real values in the range (0, 1) that add up to 1. 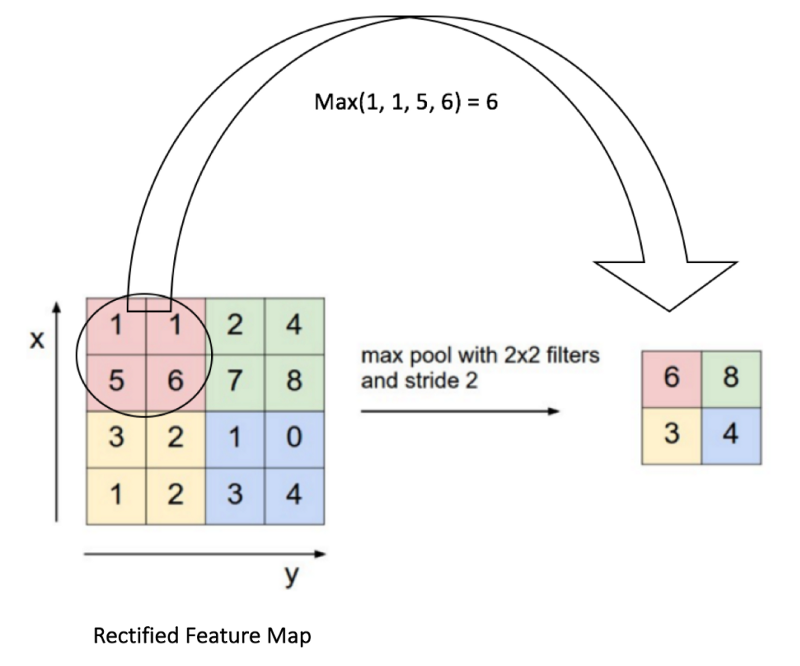 Softmax activation is generally used at the final fully connected layer to get probabilities as it pushes the values between 0 and 1. Now, we have an idea about the different layers in a CNN. Armed with this knowledge we will develop the deep learning architecture needed for lung cancer detection using Keras in the next article. Bio: Taposh Roy leads innovation team in Kaiser Permanente's Decision Support group. He works with research, technology and business leaders to derive insights from data. I’m a data scientist – mind if I do surgery on your heart?